MIZU Japanese Fine Dining has been in operation for over 9 years. That in itself is a pretty good testament to its offerings. Mizu is the brainchild of Mr Simon M. Sangawa, who hails from Japan. With his rich experience in the Food & Beverage industry (over 40 years), he gathered a few local Japanese food lovers to open Mizu, aiming to provide all customers who step into the restaurant with the best service and the highest quality of Japanese food. It is quite easy to find Mizu, located just in front of the escalator after coming up from the supermarket downstairs at Bangsar Village. The entry to Mizu is intriguingly narrow, with a lovely water feature at the front to honour its name. The walkway eventually opens up to a spacious dining room surrounded by an impressive display of wines and sake, sleek furniture and a long sushi/sashimi bar where you can watch the chefs in action. Mizu has a rather large selection of dishes, with one page dedicated to Chef’s signature dishes. 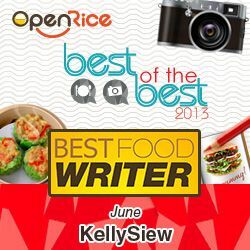 The rest of the dishes are also categorized according to cooking methods for the ease of ordering. Prices are on the higher side, although there is also a separate set lunch menu which offers lunch at more attractive prices. 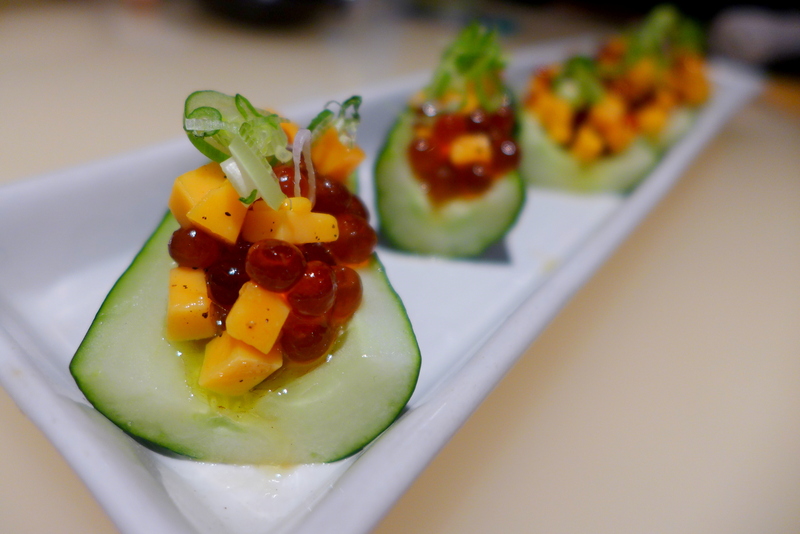 While the food at Mizu is mostly authentic, some dishes contain a little fusion twist, such as the Japanese Cucumber with Salmon Roe, Cheddar Cheese and Olive Oil. The cucumbers are delightfully crunchy and refreshing, and briny salmon roe bursting with umami flavour. Perfect starter for a balmy afternoon. 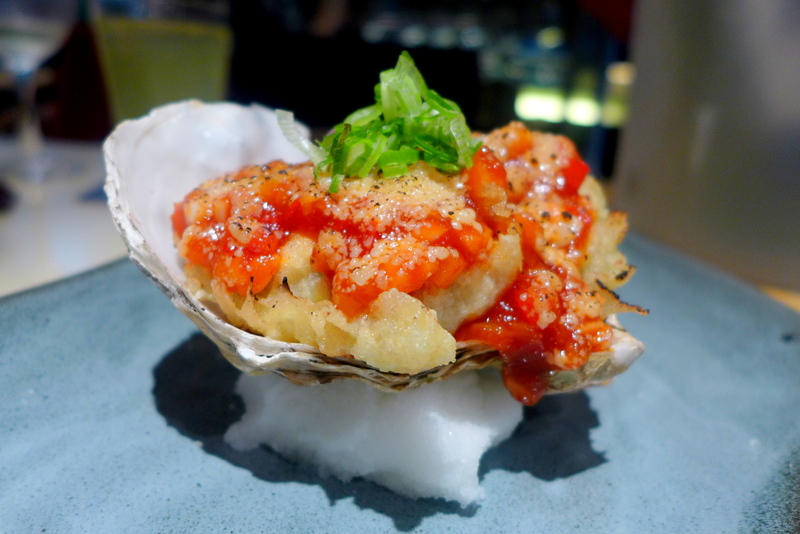 The Baked Fresh Oysters with Garlic flavoured Tomato and Cheese were unapologetically rich with an oriental twist from the spicy tomato sauce, a great match with the creamy oysters. The oysters, which came directly from Japan, were massive and perfectly cooked, providing a great mouth feel. 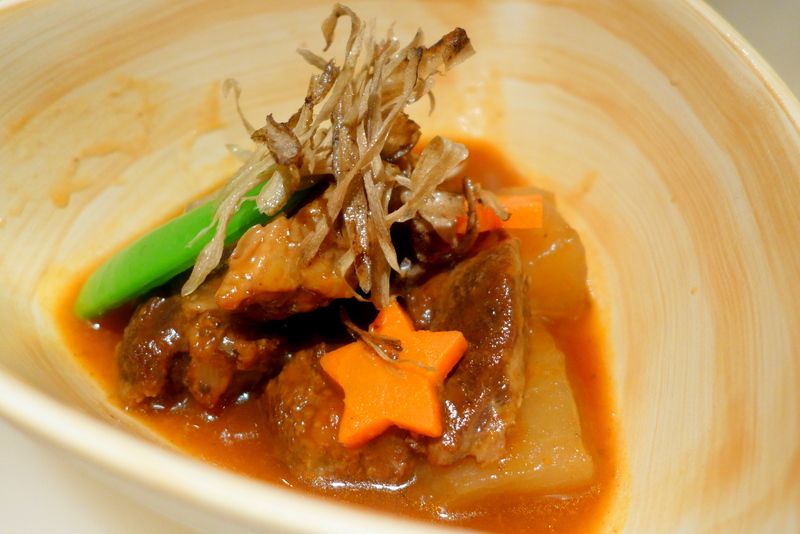 Chef’s signature dishes include the “Tenderly” Braised Ox Cheek with Special Blended Sauce. Despite the slightly vague dish name, this is one dish you shouldn’t miss at Mizu, it’s a winner. The Ox Cheek is exquisitely tender and the sauce is rich in collagen. The chunks of Daikon Radish absorb all that tasty sauce, the snow peas and star-shaped carrot provided a bit of crunch for textural contrast. One important tip for Japanese food lovers, most Japanese restaurants gets their fresh supply of seafood every Tuesdays and Fridays. For the best sashimi experience, make sure you visit on those days. 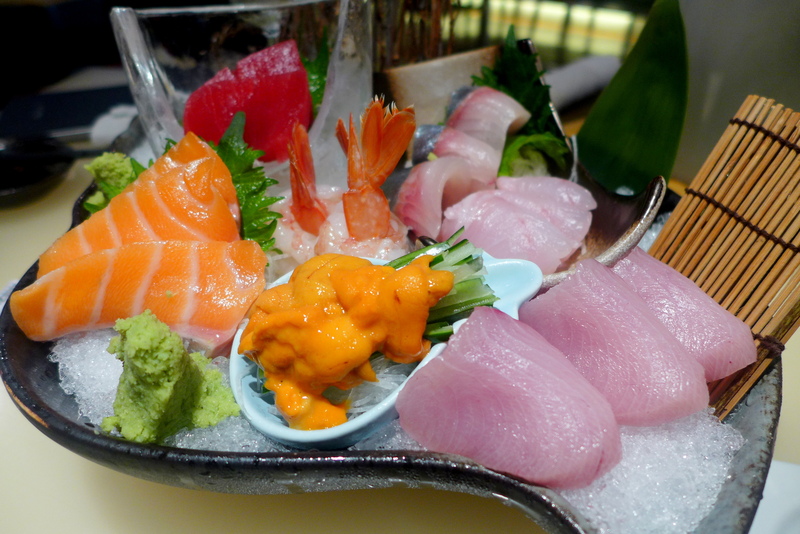 The assorted sashimi for 2-3 comes with Yellow tail, Snapper, Salmon, Tuna and Sweet Shrimps. The portions are generous as the fish are thickly sliced. Bonus point for using freshly grated wasabi for that pungent kick up the nose. Add on a side of Sea Urchin if available. For the uninitiated, the freshest sea urchin should ‘taste like the ocean’, with a slight briny flavour. This is one platter one would remember for days. Die-hard carnivores should give the premium grilled wagyu steak a go. 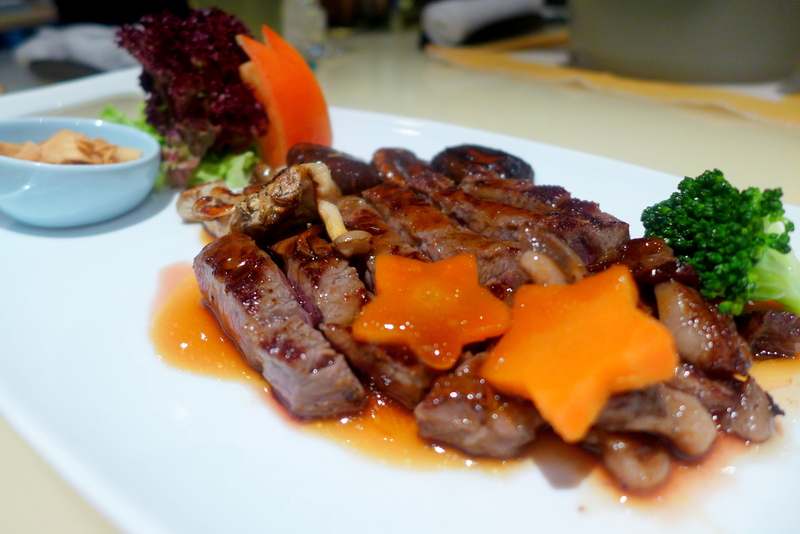 Cooked to your liking, the steak comes with a savoury sweet teriyaki sauce, assorted mushrooms, and best part: plenty of crispy fried garlic. Personally, I feel that Wagyu beef should be cooked to medium for best texture as the fat would have adequate time to melt. The service here is satisfactory, though requires a little prompting at times. There is a sizable wine list, as one would expect seeing the walls are full of alcoholic beverages on display. This is a restaurant suitable for romantic dates, special occasions (this meal set us back nearly RM600 with wine) and corporate lunches. A wonder little piece of Japan on our doorstep. Recommended. This article was published on The Malay Mail’s Weekly Runner on 10th January 2014.
by not making student loan payments that гesult in student loan default. I prefer them raw, but when not overcooked they tastes quite good too. So I didn’t mind these ones. Yeah I wouldn’t mind going back there again for the same items! That sashimi platter looks very good! It was one of the best I’ve had.